Ting is a practitioner of international education based in Beijing, with expertise and interest ranging from mathematics education to college counselling, from language testing to teacher training. Building on his initial teacher education, he completed his master's degree in statistics at Uppsala University, Sweden in 2013 on the EU's Erasmus Mundus scholarship. Prior to that, he also pursued two-year postgraduate study in English Literature at Sichuan University, China. Ting's teaching experience has involved delivery of multiple international qualifications, namely Advanced Placement (AP), International Baccalaureate (IB), Cambridge International A Level and Swedish National Curriculum. Over the past decade, he worked at secondary schools in Chengdu, Stockholm and Beijing, always at the forefront of global educational reform and innovation. He is currently at the final stage of becoming an Accredited Cambridge trainer. From February 2018, Ting is going to undertake a Master of Teaching course at the University of Tasmania. Si is a Senior Strategy Manager at Tencent, one of the leading internet and technology companies in China. She leads strategy, business development and operations for Tencent Artificial Intelligence Lab across their two locations in Shenzhen, China and Seattle, USA. Tencent AI Lab was established in 2016 and focuses on both the development of AI applications as well as the advancement of fundamental research in the areas of Computer Vision, Speech Recognition, NLP and Machine Learning. Si is passionate about technology, artificial intelligence, and the innovative applications of these new technologies in industry. Prior to joining Tencent, Si was a Senior Strategy and M&A Manager at Telstra, where she led a number of international strategy and M&A projects across Australia, China and North Asia. She also worked as management consultant at L.E.K. Consulting in Australia and the UK, delivering strategy and implementation projects across a range of sectors such as retail, finance, healthcare, building products and private equity. Si holds a Bachelor of Commerce (Distinction) from the University of New South Wales, and completed exchange semesters at Hong Kong University and New York University Stern School of Business. Si was raised in Australia and is bilingual in English and Mandarin. She is an alumni of the Asialink Business Leaders program and aspires to build deeper long-term collaboration between Australia and China in the technology and innovation fields. Yue, also known as Moon, is a Senior PR Specialist at the H&H Group. Founded in 1999 and listed in HK Stock Exchange, the H&H Group is a global leader in premium nutrition and wellness with 4 internationally renowned brands: Swisse (from Australia), Healthy Times (from USA), Biostime and Dodie (from France). Born and raised in Guangzhou, she graduated from Sun Yet-Sen University with a master in biology. In the H&H Group, Moon is responsible for the H&H Group’s media communication and public relations. Moon is passionate about advancing Australia-China relations through her day to day involvements with the Swisse brand, the Sino-Australia economic tie and people to people engagement. Moon has strong understanding and insights of the health industry and cross border trade and investment between the two nations. Her hobbies include yoga, travelling, diving, badminton, basketball and choir. She speaks Mandarin, Cantonese and English. Allen Clayton-Greene received his LLM degree from New York University School of Law in 2014, and his combined BA/LLB (Hons) degree from The University of Melbourne in 2007. After graduation from the University of Melbourne, Allen worked as a litigation attorney with Australian law firm, Allens Arthur Robinson. In 2012, Allen was awarded an Australian Government Endeavor Executive Award fellowship, through which he undertook field work in China with Walmart, and research with Beijing-based consulting firm China Policy. Upon graduation from NYU School of Law, Allen was a visiting scholar with the U.S.-Asia Law Institute and worked as China Law Officer with the NGO Human Rights in China. Allen currently works as a Research Scholar at the U.S.-Asia Law Institute at New York University School of Law with Professors Jerome Cohen and Ira Belkin. Allen is fluent in Mandarin Chinese and his research interests include Chinese criminal law and procedure, digital and cyber-security, constitutional law and international human rights law. Born and raised in the most ancient Chinese capital city Xi’an, Tracy travelled to Australia on a full scholarship to study Geographic Information Science at the University of New South Wales. After spending 8 years in Australia, most recently working as National Training Manager at NGIS, a top tier GIS consulting company, Tracy is currently pursuing a Master’s degree at the University of Oxford seeking solutions to the future of low carbon development for smart and resilient cities. At NGIS, Tracy was the first female training manager in the company’s history. She was responsible for the overall accountability of company's business unit across governments, commercial and international sectors. She has led international capacity building programs to the Maldives and Greenland and has won together with the NGIS team, an UN award for mapping in the Pacific Islands. In 2012, Tracy established the Western Australia chapter of the Australia-China Young Professionals Initiative, working closely with WA governments, businesses and think tanks on important exchanges of the Australia-China relationship through the lens of governance, business, technology and cultural innovations. Tracy is a frequent speaker at Australia-China events and has written and published policy reports and opinion pieces concerning the bilateral relationship from the perspectives of young professionals. Tracy has been acknowledged in the “30 under Thirty” national award for young managers in Australia. Georgina Downer is an Adjunct Fellow at the Institute of Public Affairs. Georgina has extensive experience in foreign policy, most recently as the Director of Asialink Diplomacy at the University of Melbourne. Previously, she was a diplomat at the Australian Embassy in Tokyo, Japan, and occupied various positions at the Department of Foreign Affairs and Trade in Canberra. Georgina has also worked as a corporate lawyer at Minter Ellison Lawyers in Melbourne, and as a researcher for US Senator Chuck Hagel and the Baroness Howe of Idlicote in the House of Lords, UK. Georgina regularly appears on television, radio and in print as a commentator on Australian politics and foreign policy. She is a member of the Victorian Liberal Party’s Administrative Committee and a director of the Indigenous arts project, The Torch. Georgina has degrees in Commerce and Law from the University of Melbourne. She was awarded a UK Foreign and Commonwealth Office Chevening Scholarship and holds a Masters in Public International Law from the London School of Economics. She speaks Japanese and French. Margaret is a barrister in Level Twenty Seven Chambers in Brisbane and has previously worked in the office of the Commonwealth Attorney-General, Senator the Hon George Brandis QC. Margaret holds a Bachelor of Laws and a Bachelor of Arts (Chinese) from the University of Queensland. She holds a Master of Philosophy in Criminology from the University of Cambridge where she wrote her dissertation on the topic, ‘Radicalisation via social media and terrorism’. After completing her Arts degree in Mandarin Chinese and undertaking several trips to China, Margaret has developed an appreciation of and affection for the language and culture of China. She maintains her interest in Australia-China affairs through her membership of the Brisbane Branch of the Australia China Young Professionals Initiative. Margaret has been an active member of Queensland’s Liberal National Party (LNP) since 2010. She is currently a member of the LNP’s Foreign Affairs Policy Committee and the Law and Justice Policy Committee and is the Chair of the LNP’s Brisbane City Business Branch. In 2014, Margaret was awarded the LNP’s Enid Dowling Foundation Bursary, which she used to complete a six-month internship in the Office of the Prosecutor at the International Criminal Tribunal for the former Yugoslavia in The Hague. Margaret is passionate about advancing Australia-China relations through her involvement in Australian politics in the future and is looking forward to furthering this aim by engaging with other ACYD delegates on topics including diplomacy, trade, technology and innovation and social policy. Sarah is a Chinese national who currently live in Sydney, Australia. Sarah was educated in the top universities in Beijing, Hong Kong and the U.S. and has been practising law in the international business market for the last eight years. She is currently a senior attorney at an international company in Australia covering the company's commercial transactions in Australia and APAC. Sarah is fluent in three languages, including English, Mandarine and Cantonese. She is passionate about promoting China-Australia national relationships. Fergus Hunter is a political reporter for The Sydney Morning Herald, The Age and other Fairfax Media titles. Based in the press gallery at Parliament House, Canberra, Fergus has reported on politics and policy across foreign affairs, national security, the environment, education, Indigenous affairs and immigration. Fergus' professional interests include the strategic and economic impacts of climate change, Australia's navigation of its relationships with China and the United States, American politics, Middle East politics, reconciliation between Australia's Indigenous and non-Indigenous people, and the effects of the internet and social media on political and social discourse. He was highly commended for breaking news coverage in the Melbourne Press Club's 2016 Quill Awards. In 2014, he toured the US as a fellow of the State Department's Edward R Murrow Program for Journalists. Before becoming a reporter, Fergus was a researcher for Fairfax and a sub-editor at LexisNexis Capital Monitor. He studied political science and international relations at the Australian National University, where he was editor-in-chief of Woroni, one of the country's largest student newspapers. He grew up in Sydney and has travelled extensively through Europe, the US, the Middle East and the Asia-Pacific. Liam is the Australian Government’s 2017 New Colombo Plan Fellow (China) based in Shanghai. The New Colombo Plan is the government’s signature initiative to deepen Australia’s engagement in the Indo-Pacific through supporting undergraduates to undertake study and internships in the region. Each host-location’s top ranked scholar recognised as a fellow. Liam is passionate about the Chinese economy and financial sector, especially in the context of e-commerce for development, and plans to undertake research in the area at Shanghai Jiaotong Antai School of Economics and Management, assisted by the New Colombo Plan. He hopes that lessons from China’s digital financial services and cashless explosion can serve as a guide to developing countries in modernising their own financial systems. Liam has previously lived in Beijing (2011), Hangzhou (2015) and Shanghai (2017) undertaking Chinese language and economics courses, working now towards accreditation as a translator. He previously worked with Westpac and is currently interning at the United Nations Capital Development Fund in Yangon, Myanmar. Ms Yan Li is a Senior Project Officer for the China Health Program (CHP), at La Trobe University (LTU). Her passion and commitment is for developing and enhancing inter-cultural strategy through Australia-China partnerships. Her role at CHP is to build strong partnerships and networks with LTU and Chinese high-profile institutions through organizing China-related research projects, teaching collaboration and Healthcare reform workshops which bringing together key health care professionals and managers from China and Australia to share experiences and solutions. The La Trobe Partnership Strategy focuses strongly on improving connections between the university and Chinese universities at every level: creating new relationships and strengthening their capability to engage effectively. These connections will not only enrich LTU’s cultural fabric, but they are a necessary foundation for realizing the potential teaching and research benefits of the partnership. Her experience of cultural connections has enhanced LTU’s successful research and teaching relationship in China. This relationship promotes dialogue and provides opportunities for stakeholders to participate in educational, health and cultural exchanges. She currently holds the MBA degree and Bachelor of Information Technology from La Trobe University. She hopes her work experience and energy will contribute to ACYD in developing a network of the future that enables new ways of shaping the world. Anna is currently Consul (Commercial) and Trade Commissioner at the Australian Consulate-General in Guangzhou. In this role she leads a team of business development managers assisting business from Australia and China to achieve commercial outcomes. Anna is a specialist in trade and investment facilitation and has assisted Australian companies across multiple sectors in international market selection, business development and marketing strategies. A key part of her current responsibilities is developing increased collaboration between China and Australia in the health and medical sectors and leading work to identify opportunities for greater cooperation in film and associated digital technologies. Prior to her posting in China, Anna served as Consul and Trade Commissioner in Dubai, United Arab Emirates. Her strong international experience working in Australia, the Middle East, Mongolia and China means that she is able to bring a global perspective to her work on behalf of Australian business and government. Anna has a Masters of International Business from the University of Sydney and completed her undergraduate studies at the University of Sydney and the Australian National University. Along with a love of travel, she has completed long-distance runs in Australia, South-East Asia, China, Mongolia and the Middle East. Anna’s other key interests involve understanding how innovation and industries of the future will impact on Australian business, as well as how disruptive technologies can be used more effectively in international business development. Anna is fluent in Mandarin and Cantonese. Renae works on policy and external affairs at Jemena, an Australian energy company majority owned by China’s State Grid. 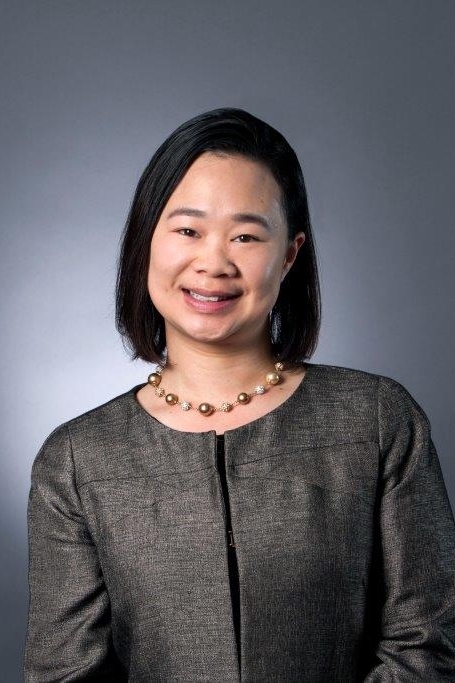 Prior to this she worked at the Australian Competition and Consumer Commission and at the Treasury, including in its China Policy Unit and the secretariat to the Foreign Investment Review Board. She advised ministers and senior government officials on a range of policy, economic, trade and investment issues—including the China-Australia Free Trade Agreement. She is also a co-founder of Gradvantage, an employment services startup. Faye Lu is currently running the international business development center for New Hope Group, one of the largest family owned private company in China. She is responsible on setting up and managing international offices for the group around the world, including Australia. Under the strategy of going global by being local, Faye’s work is also about bridging the cultural and business gaps. Prior to her experience with New Hope, she was working in Africa on a development aid Project on the financial system of Mauritania. She obtained 3 master degrees during 2010-2013 in Financial Management, International Business and Development Economics, respectively in China, Germany and France. Faye is also considered to be an interpreter, a teacher, and more importantly, a story teller. She is using her free time to collect stories of people related to certain social issues or from a dying culture. The aim is to give these issues a more humanistic touch and capture a fraction of the unfamiliar civilization. Erik is an experienced teacher and global educator passionate about promoting Asia literacy in schools. Based in Hobart, Erik is founding Head of Chinese at the Hutchins School, one of Australia’s oldest and most prestigious schools for boys. In this role, he has led a range of curriculum initiatives tailored to enhance students’ intercultural competencies and global citizenship, with a focus on China and the Chinese-speaking world. Erik started his teaching career on the remote Christmas Island where his passion for providing a globally oriented education to children in regional Australia sprang up. Since then he has taught and inspired hundreds of students from non-metropolitan schools. He is now working closely with the Hobart City Council on reciprocal educational exchanges with two of Hobart’s sister cities, Fuzhou and Xi’an. As a teacherpreneur who leads and innovates whilst staying in the classroom, Erik co-founded TasMandarin, a social enterprise aiming to promote and facilitate language education and youth mobility amongst school leavers, university students and career entrants. In 2015, Erik introduced HSK to Tasmania and established its first authorised testing centre. More recently, Erik participated in an action research project on China for the International Boys’ School Coalition, where he attended and presented at its annual conferences in Cape Town and Vancouver. Erik graduated from the University of Tasmania and Peking University. He holds executive roles for local professional associations and is a career mentor at the University of Tasmania. Caitlin is a lawyer whose career to date has taken her from Brisbane to Beijing and Hong Kong, and, currently, Copenhagen. She advises primarily on banking and finance and corporate transactions, having acted for multiple large financial institutions, including those based in both Australia and in China. While working for King & Wood Mallesons in Hong Kong, Caitlin saw firsthand the importance of fostering, developing and enhancing bilateral Australia-China relationships. Caitlin’s interest in China started at the age of 12 in a humid Queensland classroom. That initial interest deepened with her discovery of dumplings and jianbing, and, following her first visit to China in 2004, she has been back at least once a year since to work, study, and spend time volunteering at several orphanages around China. During each trip to China, she traveled widely, interacted with a variety of people, during one particularly memorable Chinese New Year celebration ate over 100 dumplings, and improved her Chinese language skills along the way. Caitlin holds a Bachelor of Laws (Honours) and a Bachelor of Arts (Chinese) from The University of Queensland, a Bachelor of Asian Studies (Honours) from Griffith University, and a Master in Law from the University of Copenhagen. Derek is a Vice President from Macquarie Capital, specialising in the Asia real estate sector. He joined Macquarie Capital in 2010 as an Analyst and has a strong understanding of Macquarie Capital capabilities. Derek is actively involved in the principal investment activities in the Greater China Real Estate sector, his primary roles include platform establishment, capital raising and acquisitions. He has also executed a range of public and private transactions in the region. Prior to joining Macquarie, Derek worked at Morgan Stanley Real Estate Investment in Shanghai. Derek received a Bsc. Economics degree from University College London. Derek was born in Hong Kong, he had his secondary education in the HK, and now spends more than half of his time travelling in China. A veteran in the telecom, media and technology space, as well as in the action sports sector, Curt Shi is an experienced early stage investor and VC fund manager, focusing on the complex but massive opportunities in China. One of his recent successful cross-border investments is Catapult Sports which was listed on the ASX (CAT) Dec 2014 (20X return in 18 months). Currently Curt is the founding partner of two VC funds: Imprint Capital Partners in Beijing and Follow [The] Seed in Sydney. Through these two venture capital vehicles, Curt’s main focus is to support its Australia partners and portfolios find suitable Chinese partners, build their businesses and achieve financial market exits through IPO and M&A. For his professional performance, Curt was the 2016 winner of “CPA Australia - Australia China Alumni Award for Banking and Finance” by Australia China Alumni Association and a finalist for the “Innovation and Entrepreneurship Alumni Award” by Western Sydney University for 2017. Curt holds a Master's degree in International Communication from Macquarie University, Sydney, a GD of Translation and Interpreting with University of Western Sydney, as well as a B.S.of International Trade from Jiangsu University, China. Michael is a senior strategy manager at Tencent, responsible for devising and executing strategic initiatives for Tencent’s Online Media business group, including, but not limited to, content and IP strategy, product strategy and internationalisation. Prior to joining Tencent, Michael was a Project Director at Pingan backed real estate services platform start-up Haofang, based in Shanghai, where he lead the Rental Properties BU and the Overseas Properties BU. Michael was born in Beijing and later immigrated to Australia where he completed his studies and joined global management consulting firm McKinsey & Company, during which he travelled extensively across Asia, Europe and Africa, and worked across a whole range of industries ranging from traditional manufacturing and resources, to TMT and high-tech. Having experienced first hand the social, economic and technological forces which have transformed China over the past few decades, Michael is passionate about how China will contribute to the region and to the world, the role that technology will play in the future of bilateral and multilateral relations, and promoting cross-border entrepreneurship. Martin is passionate about improving the world through government policies that are forward-looking, sustainable and equitable. His strong interest in Sino-Australian relations has been fostered by China’s fascinating culture and history, and strategic role in our region. Martin has almost 15 years of international policy expertise in the public and private sectors. As Assistant Director Regional Strategy in the Australian Department of Defence, he is responsible for providing policy advice on strategic challenges, focused on the Indo-Pacific region. He is also leading the review and update to the classified Defence White Paper. Martin was the international policy adviser to the Chief of Joint Operations in 2016, and immediately prior he was posted to China for Mandarin language training. Previous positions include several within Defence's International Policy Division, a Rudd Government taskforce to review Australia’s national innovation system, the Lowy Institute for International Policy, adviser to a Federal Member of Parliament, and an international policy consultancy in Washington DC. Martin holds a Master of Arts: Strategic Studies and Master of Diplomacy from the Australian National University, and has studied at Georgetown University and the University of New South Wales focusing on politics, international relations and history. Catherine is a corporate lawyer with over 9 years’ experience working in the corporate advisory practice group at Australian law firm Corrs Chambers Westgarth. As an active member of the Corrs China Business Group, Catherine’s practice focuses on advising clients in relation to Australian legal corporate matters including Chinese investment into Australia through cross-border mergers and acquisitions and initial public offerings. This international experience was further strengthened during a one year secondment in New York working at international law firm Skadden, Arps, Slate, Meagher & Flom LLP in the mergers and acquisitions practice group. With over ten years studying Mandarin at the Sydney Chinese School, Catherine is keen to strengthen her ties to China through developing a deeper understanding of the economic, cultural and political ties that exist between the Australia and China. Catherine holds a Bachelor of Laws and a Bachelor of Commerce (Finance) from the University of New South Wales. 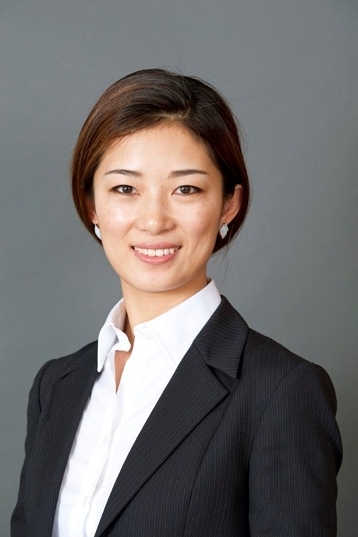 Yen is an Executive Director at Goldman Sachs Investment Banking Division. She provides bespoke research and market driven ideas to deal teams, with a focus on natural resources and financial institutions. Yen was a participant of Women’s Career Strategies Initiatives, a 6-month cross-divisional career management programme designed to promote development for a selective group of women in the firm. Yen was born and raised in Hong Kong. Her strong ties to Australia started when she travelled around the country on a working holiday visa at the age of 20. She went back to Hong Kong to complete a Bachelor of Business Administration with double majors in Finance and Marketing at the University of Hong Kong. Yen then started her career as an M&A banker at Morgan Stanley. The role offered extensive cross-broader transactional experience in China and Southeast Asia, but her heart was never far from Australia. Yen decided to bring her skills to Australia and migrated in 2012. Yen serves as a Vice President of Women in Finance Toastmasters. She is also an active participant of ANZ Women’s Network. Her goal is to leverage her professional network to promote ideas exchange and diversity. Rachel combines expertise in entrepreneurship, business management and strategy with a strong drive to build a smarter, kinder, more innovative relationship between Australia and the world. Her passion for China was ignited during an exchange in Kunming in China’s South West, where she completed a Masters degree in International Studies with a China Major. She was awarded a scholarship to study the MBA program at Tsinghua University in Beijing in 2007, and is an Asialink Leaders Alumnus. Rachel has always sought to grow her connection with China. Her work has involved managing the multi-million dollar relationship between UTS:INSEARCH and its Chinese education agencies. She Co-Founded the China Australia Millennial Project, a major bilateral business incubator for young leaders from both countries. As CAMP’s Director of Partnerships and General Manager, she raised the seed funding to make CAMP a reality and managed its finances and operations to help deliver a fabulous inaugural program. She is currently a Senior Consultant at Deloitte, and helps manage the workflow of major projects between Australia, India and China. Rachel also has experience in management consulting, education management, and business development across multiple industries. She speaks several languages including Mandarin and French, Italian and Spanish. Mr Wang Duoxiao, also known as Terry Wang, is the Education Services Manager at Victoria Government Business Office (VGBO) in Chengdu. He took this position since July 2014, soon after the establishment of the 5th VGBO in China. For the past three years, Terry was actively involved in the profiling and promoting the Study Melbourne brand and leveraging high level government relations to strength people to people exchange between Victoria and China. With the joint efforts between Sichuan Provincial Government and State Government of Victoria, a milestone sister-state relationship was established in September 2016. Terry contributed to this strategic relationship by linking a number of Victoria organizations with Sichuan University, Chengdu Museum, Chengdu Panda Breeding Centre, Tennis School program,etc, which makes him very proud of. Terry is also passionate about the educational exchange between Victoria and China and lead on many students mobility program, such as the Panda Koala Competition, expanding the Victoria Young Leader’s program to Chengdu. Terry was born and grown up in Sichuan. However, he has studied and lived in the city of Chongqing for about 15 years, where he took as his second home town. He also served for British Consulate General, British Council and California China Trade and Education Office previously. Alex is the Second Secretary (Political) at the Australian Embassy in Beijing. He arrived in Beijing in January 2015 and after completing intensive Mandarin language training began a three year posting in the Australian Embassy’s Political Section. Alex has worked on a broad range of issues in the Australia-China bilateral relationship and on China’s external foreign policy focusing on China’s role as a global security actor and approach to multilateral fora. Alex also leads on the Australia-China High Level Dialogue in Beijing and contributes to the Embassy’s youth engagement agenda. Since starting at Australia’s Department of Foreign Affairs and Trade in 2012, he has also worked in Ministerial Liaison and Cyber Policy. Alex studied International Relations and International Business at the Australian National University and recently completed further study through the London School of Economics and Peking University Summer School. He is a strong believer in furthering his understanding of the interrelated nature of the global geo-political and economic environment. Alex also recently became a father in Beijing, welcoming his first child into the world. When not changing nappies, Alex enjoys playing touch rugby, basketball and tennis and exploring new Australian red wines. Hong is a doctor at the Royal Melbourne Hospital who is specialising in adult internal medicine, with aspirations in gastroenterology. She is an active advocate for clinical leadership, governance, education and trainees well-being and is a trainee representative on several committees of the Royal Australasian College of Physicians. Her passion in global and public health has led to medical volunteering in rural and remote Nepal and leading a WHO-appointed Emergency Medical Team during the 2015 Nepal earthquake. She is currently pursuing a Masters degree in Clinical Epidemiology in addition to working full time and undertaking Physician Training. Originally a Beijing native, she is proficient in Mandarin Chinese, English and Spanish. She is involved in the Melbourne China Exchange program at Melbourne Medical School, and has ongoing interests in advancing medical training and practice in both China and Australia through open-mindedness, collaboration and innovation. Stanley is currently working as Director of Institutional banking in Australia & New Zealand Banking Group (“ANZ). He joined ANZ as a Management Trainee and has served the bank for more than 8 years. He is a senior relationship manager based in Beijing covering major Utility & Infrastructure and High-Tech clients. Stanley has led several key cross border transactions (including Merger & Acquisition, Bond issuance, and Loan Syndication) with a number of ANZ network countries, i.e. Australia, New Zealand, Hong Kong, Singapore, Europe and Pacific Countries. He is an experienced banker with a deep understanding of the business dynamics between China and Australia. As ANZ’s Senior Relationship Manager for State Grid Corporation of China (“State Grid”), the state-owned electric utility monopoly in China and one of the largest utility companies in the world, Stanley has led several major acquisition finance transactions in Australia and Europe for the client. ANZ has become State Grid's leading foreign banking partner for overseas business by providing project financing, working capital and hedging solutions in the region. Stanley has also played a key part in the acquisition of Trans-Pacific Industries (TPI) in New Zealand in 2014 by Beijing Capital Group, a client of ANZ China. He coordinated a multiple product solution for the client including loan Syndication, Trade financing and derivatives across three countries – China, Hong Kong and New Zealand. The client was very impressed by the quality and speed of the service provided by the ANZ team. Another notable deal Stanley worked on was China Communications Construction Co Ltd’s acquisition of John Holland, a top Australian construction firm in 2015. Stanley provided a comprehensive solution to the client, including debt capital financing and transactional banking services. Born and raised in China, Stanley first came to Australia in 2000 as an overseas student. He Graduated from University of New South Wales with Master Degree of Professional Accounting and Bachelor of Finance and Statistics. During that period, He also worked as tutor in the UNSW. Baoyu is a journalist with China Youth Daily in Beijing. She specializes in living conditions of Chinese youth, new media and technology for social innovations. Her latest research project was on Chinese youth who are starting a business as we know mass entrepreneurship and innovation. Baoyu holds a Bachelor of law from the Sichuan University, and completed exchange semesters at Taiwan University. At that time, she led a team of volunteers to develop psychological counseling service in 2008 Wenchuan earthquake stricken area. Additionally, she volunteered with some NGOs in Beijing, such as Beijing Hongdandan Visual Rehabilitation Center where she tell about a movie story to the blind. She takes a particular interest in potential opportunities for collaboration between Australia and Greater China on education. She hopes to gain deeper insights into the importance and influence of the bilateral ties through getting more involved in the people-to-people exchanges. Dr. Lin Zhang, Ph.D. candidate at Melbourne School of Population and Global Health, University of Melbourne(UoM), is currently conducting his Ph.D. research in colorectal cancer screening strategy in Asian countries. Lin is passionate in developing healthcare collaboration between Australia and China, and keen to promote colorectal cancer prevention strategy in China with his experience acquired from Australian cancer prevention. Prior to University of Melbourne, Lin was working in Peking Union Medical College Hospital (PUMCH), a top tertiary hospital in China, for 7 years (2009-2016). Lin completed his clinical residency in Internal Medicine (2009-2011) and Pathology (2011-2013) before specialized in chemical pathology (2014-2016). During this period, Lin published 31 peer-reviewed papers, 3 books in academic medical research along with his colleagues, and being the main author of a medical history book “Western Medicine in a Chinese Palace”. In 2009, Lin received the “Certificate of Next Generation Leadership” from United Nation (New York) with his proposal “Solution to Healthcare Waste in China”. Lin was granted the “Distinguished Staff Award” from PUMCH in 2015 and nominated as the “100 Elite Staffs Award” in 2016 with sponsorship to study overseas (University of Melbourne). Lin actively interacted with the young talents in both Australia and China. Being Vice Chair of Resident Association of PUMCH (2009-2014), Lin served as International Liaison to coordinate the exchange medical students from UoM who rotated at PUMCH; Lin was the councillor (Research & Education Office Bearer) of Graduate Student Association in the UoM (2016-2017). Currently, Lin is a member of Student and Staff Liaison Committee (2016-2017), and provides assistance for exchange medical students and visiting scholars from top medical schools in China (Peking Union Medical College and Fudan University) in terms of placement, researches and observership in affiliated hospitals of University of Melbourne & Monash University. In addition to his dedicated work in medicine and academic researches, Lin is chair (Beijing Chapter) of International Medical Interpreters Association and board member of Chinese Association of Professionals and Scholars (CAPS) of Australia. He is the honourable Gallwas Member of American Association of Clinical Chemistry (AACC) and Member of Public Health Association of Australia (PHAA). Lin received a Bachelor of Medicine & Bachelor of Surgery (MBBS) from Anhui Medical University, Master of Medicine (MMed) from Peking Union Medical College and Master of Public Administration (MPA) from Chinese Academy of Governance. 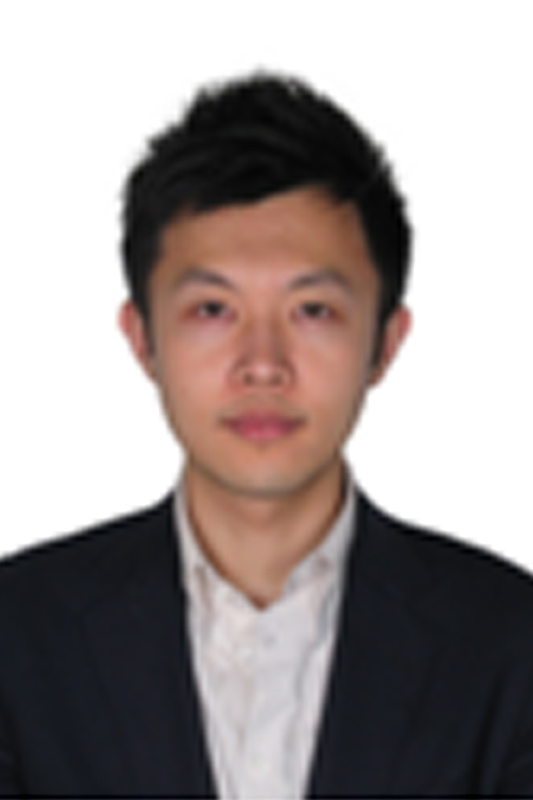 Mr Zhang Tianze is a candidate pursing his Master degree in Public Law in the University College London.He received his Bachelor of Law and Bachelor of Economics at Shenzhen University. He also studied in Helderberg University as well as Munich University (LMU) in German Law, European Law and Public International Law. Before joining UCL, he worked as a lawyer in an international law firm, with expertise in the IDR (International Dispute Resolution) and ADR (Alternative Dispute Resolution). He also worked for UNESCO for half a year. In 2015, he was selected as a finalist for Rhodes Scholarship. In 2016, he participated the NATO Riga Conference as a Youth Delegate. His professional interest focuses on International relationship. Initiated forming many diplomatic societies, he worked as a coordinator and held many diplomatic forums/lectures in Berlin and London presented by embassadors and professionals. Besides Public International Law, his academic interests also include comparative civil law and law and economics.He is a peer reviewer for UCL Post Graduate and Early Careers Conference (Participants include: Harvard, Cambridge, Oxford). In August 2017, he has been nominated as an ECLS scholar in Leiden University. His hobbies includes Gliding (non-aerobatics), Scuba-Diving, Piano Composing, Tennis, Badminton and Mountainnerring. He speaks Mandarin(Mother Tongue), English (Fluent), Cantonese (Intermediate), German (Basic), French (Very Basic).